Many Midwestern writers leave for the coasts. Hats off to those stay. These books will inspire you to commit to a meaningful life, wherever you are. In one of the reddest of Midwestern red states, it’s not easy to be yourself as a minority, let alone work as an activist. This book is about people who fight through adversity to love the people they love and make it possible for others to do the same. No Place Like Home: Lessons in Activism from LGBT Kansas by C.J. Janovy is out in January 2018 from University of Kansas Press. You can pre-order it now for $29.95. Use this offer code for any U. Kansas book through 12/15. This Blessed Earth: A Year in the Life of an American Family Farm achieves what every literary journalist strives for: nonfiction paced like a novel, easily at home among books by Timothy Egan and Jon Krakauer. Nebraska’s own Ted Genoways puts you in the boots of a hard-working family’s joys, frustrations and motivation. Find it for $26.95 through IndieBound. For anyone who reads magazines like Orion or, heck The New Territory, you’ll enjoy a trove of thoughtful reflection in Wildness: Relations of People & Place. A collection of essays—with bylines from the globally beloved (Vandana Shiva; Joel Salatin) and up-and-coming Midwestern writers (Margo Farnsworth, NT 02, of Missouri; Gavin Van Horn of Illinois)—breathes fresh light on how to articulate your human place in this wild world. For $30, order it from the University of Chicago Press. As if the name Shawn Askinosie’s made for himself with remarkable, creative chocolate sourced from single origins, Seth Godin has given this athumbs-up. Meaningful Work: A Quest To Do Great Business, Find Your Calling, And Feed Your Soul by Shawn Askinosie with Lawren Askinosie, starts with Askinosie Chocolate in Springfield, Mo., and follows their meaningful impact all over the world. It’s also a guide book. The best part is, you can order the book for $26, and add some of the nation’s best chocolate to your cart. Sarah Menkedick’s evocative essays work through internal dilemmas of family, professional and artistic roles in a “post-feminist” world. In writing Homing Instincts: Early Motherhood on a Midwestern Farm, she comes to understand motherhood as a radically intentional identity rather than a compulsory one. Rather than offer myopic answers, she invites readers to merge with the world’s mystery. Buy it on Amazon for $17.00. 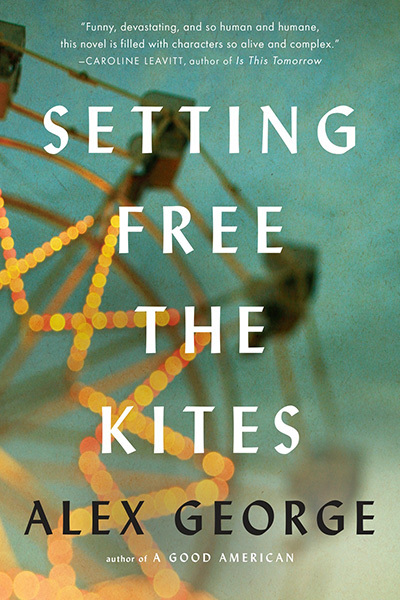 Setting Free the Kites is by Alex George, a Mid-Missouri resident and founder of the Unbound Book Festival. The adolescent protagonists seize you from the start, and we witness the power of hardship, friendship, and what it’s like to be human. Find it for $27.00 from IndieBound. And of course, if your mailbox is screaming for Midwestern stories mailed on the regular, subscribe to The New Territory, four issues for $60, right here.